*Note* – since I’m playing the remastered edition from the Nathan Drake Collection on PlayStation 4, I haven’t played, nor cannot comment on the multiplayer components of Uncharted 2. These Final Thoughts are based entirely on the single player campaign. 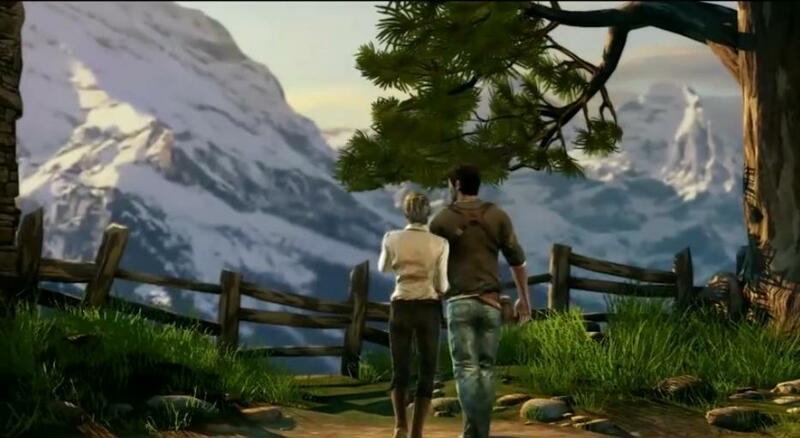 The story unites swashbuckling Indiana Jones-like star Nathan Drake with new characters Chloe and Flynn. They’re fellow international treasure seekers – which is fancy for thieves. As in the first game, Drake and company follow the clues left by a centuries old explorer, this time Marco Polo, in the hopes of discovering the lost land of Shambhala (Shangra La). Predictably, Flynn betrays Drake after the opening heist prologue in Istanbul. Your old thieving buddy is a back-stabbing, selfish jerk? No way! 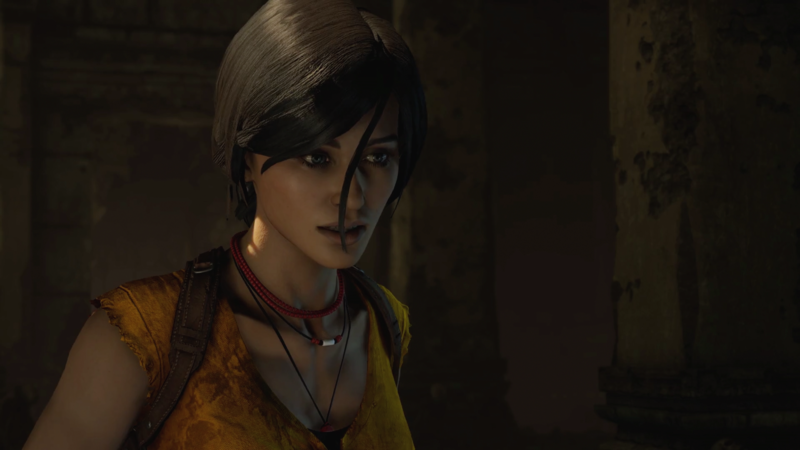 Uncharted loves its action movie tropes and deals out several handfuls throughout the course of the game, including the saucy female heroine Chloe who bounces back and forth between Drake and Flynn (and thankfully ends up on the right side by the end). Much of the first half of the story moves away from the usual ruins and jungles and into the urban war-zone of Borneo. While the change of scenery is nice, it goes on for a bit too long and makes the game feel a bit too much like any other military shooter. The more action-heavy tone is courtesy of new villain Lazerevic, which is a hell of a Bond villain name (he also looks and sounds like a Bond villain). Lazerevic has his own personal army of endless troops with military-grade hardware, including tanks, miniguns, and even helicopters. Thus, for a while at least, the sequel trades in its Da Vinci Code style story-telling for summer blockbuster action-packed set-pieces, gunfights, and explosions. I love me some fun action sequences but the sequel leans too far into straight-up action-shooter. I want National Treasure, not Saving Private Ryan. It doesn’t help that the gun fighting isn’t terribly improved or expanded from the first game. Drake can still take cover and shoot, and still only holds a single weapon and a sidearm. Only a few new weapons have been added, including grenade and rocket launchers, and a crossbow for the rare stealth kills. There’s nothing inherently bad with the shooting, it’s just still very basic compared to more modern action games. The biggest improvements are found in the level designs. The levels in Uncharted 2 are much more varied, more interesting, and much bigger than anything from the first game. From the streets of Borneo to the snowy peaks of Nepal, fighting through a Tibetan village, into a treacherous, icy cavern, culminating in the climactic warfare in the overgrown streets of Shambhala. The single most impressive set design was the train level. Drake has to fight his way up a series of train cars swarming with Lazerevic’s forces. Despite the obvious linearity there’s a lot of fun variety and challenges, including an attacking helicopter, entrenched turrets, and a mini-boss fight. The level design gave me fond memories of side-scrolling Beat ‘Em Ups, lovingly recreated here in a third-person action game. While the levels are more interesting, the game’s problems of highlighting where to go next actually worsens a bit in the sequel. Many times throughout the campaign I wandered around an area wondering where I was supposed to go, not seeing a ledge I was supposed to grab, or a random door that I could interact with. The hint system is still solid, but also made me feel kind of stupid while I waited for it to pop up and tell me where to go. 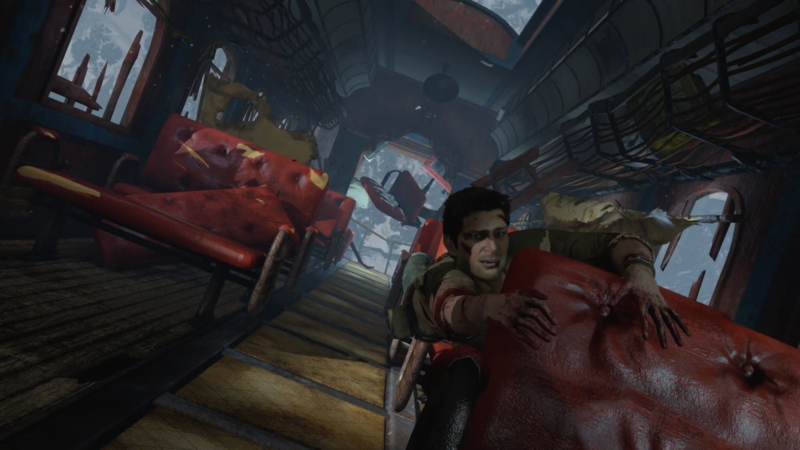 Uncharted 2 is also a slightly longer game, which is kind of what you do with sequels. Unfortunately one of my complainants from the first game was that late-game enemies were un-fun bullet sponges that made fights last way too long. 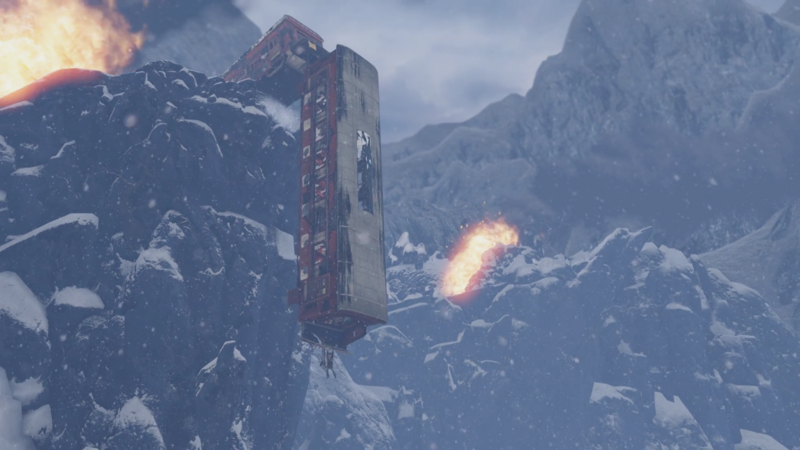 Uncharted 2‘s late game lasts even longer here. 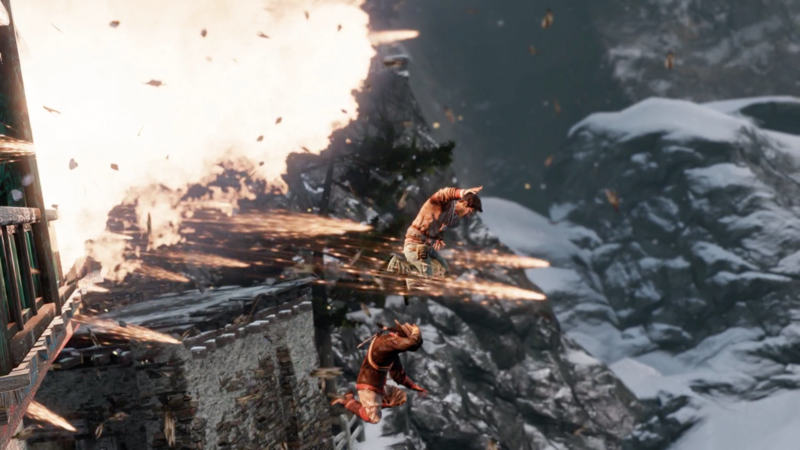 The entire Shambhala finale is filled with awful body-armor wearing foes with miniguns, grenades, and laser-pointer sniper rifles, as well as new troll-like monsters who’re nearly impervious to bullets. I’m fairly sure I died as many times in the last chapter as I did the entire rest of the game. It all culminates in a truly horribly designed final boss fight. I thought the final boss fight was bad in the first game, but the fight against a super-powered Lazerevic wins the award for one of the worst final boss fights I’ve ever experienced in a video game. I spent the entire time running around a small area evading him as he chased me with a shotgun, which is capable of killing me in about two hits. There are no checkpoints (unlike the rest of the game’s very generous checkpoints) and I can only injure him by hitting certain spots in the cavern as he runs by. It only gets progressively more difficult and frustrating from there. The boss fight is nightmarishly bad and very poorly designed. It’s a bummer that it’s the last thing you do in the game, as the story is still solid, particularly the delightful cast of characters. The supporting cast of Flynn, Chloe, Sully, and the returning Elena are a lot of fun, well-voiced, and undeniably likable (sadly Sully exits pretty early on). In fact, Chloe is the recipient of the only real character arc in the film, as she’s initially willing to cut and run in Borneo, only for her to stick around and help save everyone during the climactic egress from Shambhala. Uncharted 2 may have been a phenomenal game nearly a decade ago, and like the rest of the series, helped set the stage for an entire era of action games. It’s certainly aged much better than the first game and while the story and characters are fun, the action is often more frustrating and simplistic than enjoyable. Characters remain the highlight in both writing and acting, especially the supporting women, Chloe and Elena. Plays like a summer blockbuster that fully embraces its well-worn action movie tropes and stereotypes. Generous checkpoint and autosaves are most welcome, with only two specific areas (the convoy and the final boss fight) forcing me to start over on repeated failures. Fun and varied level designs, from a Tebetan village to the streets of Borneo to a gigantic train battle in Nepal to the mythical kingdom of Shambhala. 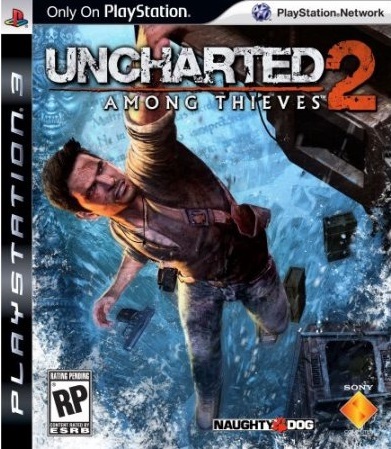 The sequel sheds some of its adventure-game style puzzles and archaeological mysteries in favor of bigger gun fights and war zones. Late game combat is still frustrating due to the frequency, fire power, and health of enemy forces. Extremely terrible, very poorly designed final boss fight. Final Thoughts: A much improved sequel, Uncharted 2 features great characters swimming in action movie tropes, though late-game frustrations leave it on a sour note. I loooooooooved this game, especially the train level. It was phenomenal. But yeah, that ending. Wooooo boy was that bad. I hated it with a passion.